In this post, we’ll show you how to install Spotify in elementary OS. elementary OS is a highly user-friendly and simplistic Linux distro that offers elegance for both home and professional users. Likewise, we will show you different ways to install Spotify. This will give you several options to choose from. Practically, anyone today knows what Spotify is. Spotify has become a benchmark for music. Spotify is a company that allows us to listen to music from their platform. That is to say, it is a shop with an immense catalog where we will be able to listen to the music that we want. Of course, it has payment plans that significantly expands Spotify’s potential. This has been a huge evolution of the music industry as users, for a small amount of money each month, have access to millions of songs. Unlike other streaming services, Spotify transmits information via the P2P protocol. In this way, users not only receive the information they request, but also send information from their computers. This makes better use of bandwidth. In addition, the cache information of the application is purchased with other users. Thanks to this, Spotify knows which songs are most played and is one of the bases of its success. In addition, the Spotify’s plans are not too expensive and there are several of them. Spotify offers ideal deal for every type of user and family. Spotify’s operations are quite simple. Once we have it installed, it is just a matter of registering. Then, we have to administer the plan we want to hire and finally use it. Finally, the application has a great interaction with social networks. For example, when you listen to a song you can choose to buy it through different networks such as Facebook, Twitter or email. So this can form networks of friends who buy what you are listening. Of course, you have to keep in mind that this is a bit of a privacy sacrifice. In any case, the choice is yours. As you can see, Spotify’s success is well earned. It’s a pretty well-stocked store with good support and custom plans. So, let us start Spotify on elementary OS. 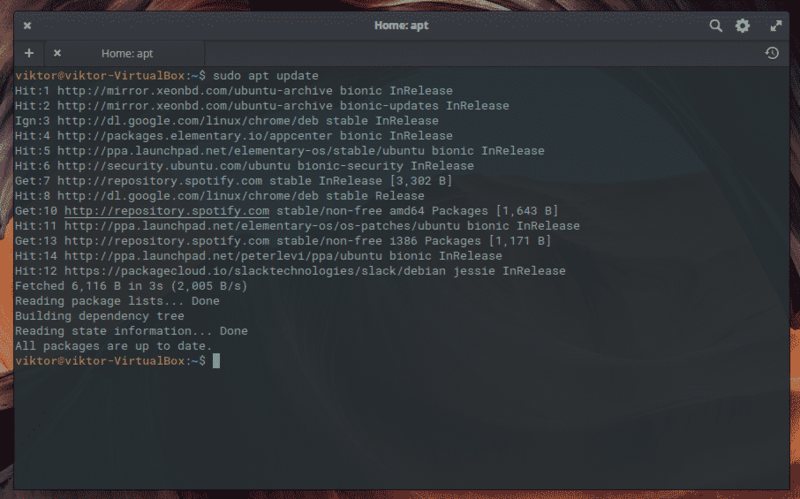 A great advantage of using elementary OS is that there are several ways to install an application. In fact, it is a feature of all Linux. So, it is possible to choose the one we like best or the one you think will be easiest. In both, we will use the Linux terminal, but the methods are different. The first way is to add the Spotify repository and install the .DEB package for our elementary OS. First, open a terminal. Then, add the GPG key of the repository to increase the security of the packages and that no error when trying to install it. Once the key is in the system, it is necessary to add the Spotify repository to the system sources. To do this, run the following command. The next step is to update the APT cache to synchronize the latest information from the software sources. Finally, we can install Spotify from the terminal with the following command. At the end of the installation, you can open the application from the main menu. Flatpak is a technology that allows you to install an application on any Linux operating system without dependency problems. In other words, a single package includes all the libraries necessary for its execution regardless of the distribution. Then, add the Flathub repository. You need to type your password. 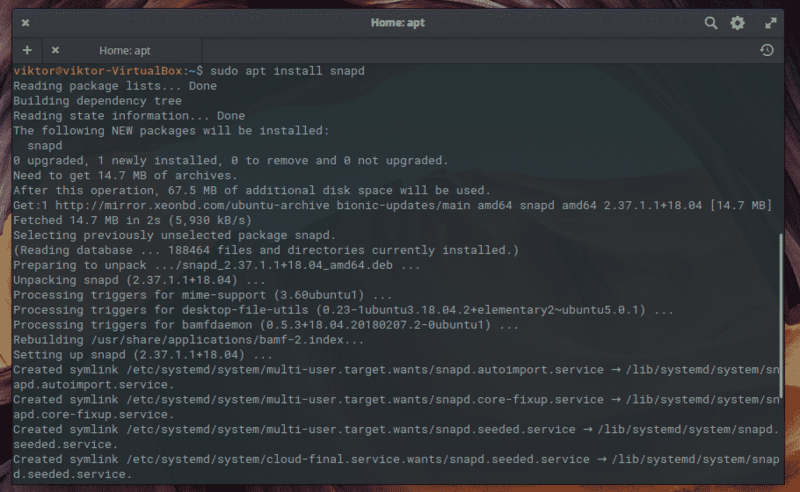 Snap is another service like Flatpak that allows installing a snap universally on almost any Linux distro. It’s earned a lot of respect in the Linux community. You don’t need to worry about the dependencies at all. Just let Snap client do the task for you. 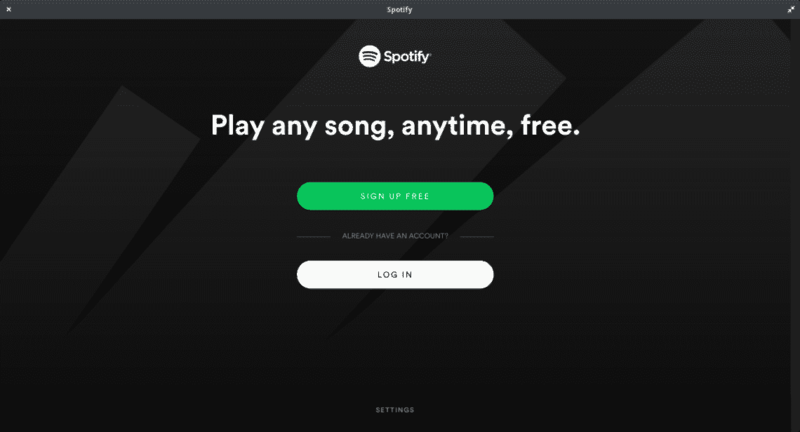 Finally, launch Spotify from the main menu. Spotify is a leader in its segment by offering an immense amount of music at a reasonable price. 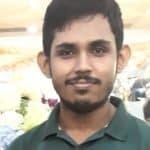 On the other hand, Linux is more and more taken into account by these giant companies and they offer their applications to our operating system. Moreover, installing Spotify on elementary OS is not difficult all. Any user can get it right within minutes!